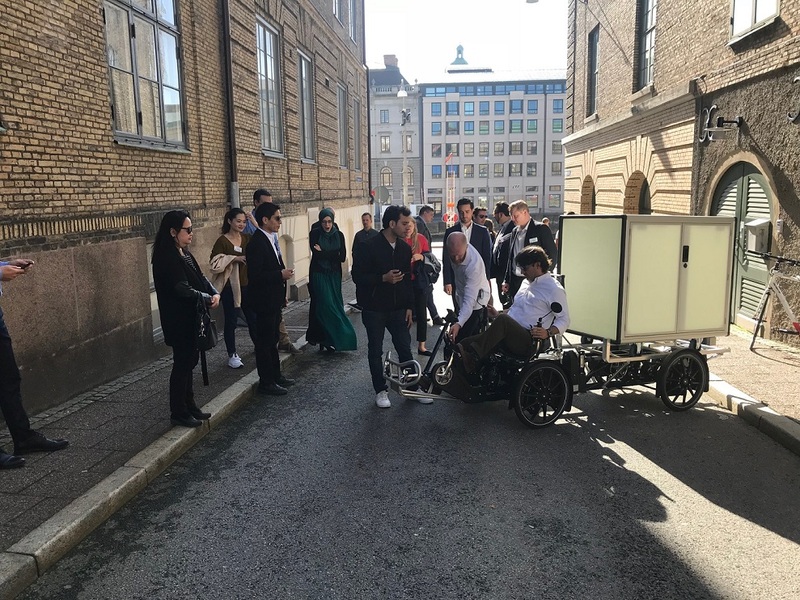 This week, the Swedish Institute, together with Business Sweden, Smart City Sweden and Business Region Göteborg, organizes an expert visit on "Next Generation Travel and Transport" with 12 participants from China, Colombia, Mexico, Ukraine, Egypt and Turkey. Participants in a visit programme on future travel get to try out electric vehicles. The programme is carried out in Gothenburg, Södertälje and Stockholm, focusing on urban planning, smart mobility, electrification, hybrid and biogas techniques. The programme includes presentations of experts in these areas as well as visits to large and small companies. The programme aims to create new opportunities for cooperation between Sweden and the visiting countries, both in terms of exports, imports as well as other forms of cooperation. The week began with presentations of all participants in terms of their challenges and expectations and ended with presentations of the lessons and knowledge they have gained. During their visit the participants have tried driving biogas vehicles, visited Scania and Volvo and met small businesses in the field of future transport.